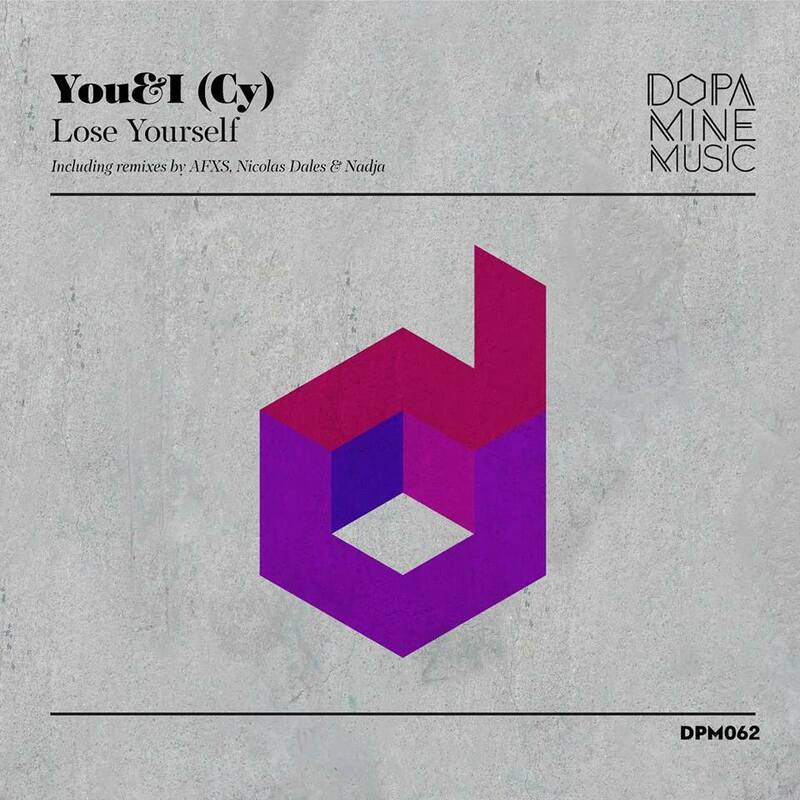 Dopamine Music welcomes YouandI (Cy) to the label for their debut single_ 'Lose Yourself' alongside remixes from AFXS, Nicolas Dales and Nadja_ - Track? !D. The 62nd release on Nikko.Z's Dopamine Music welcomes YouandI (Cy) to the label for their debut single. The duo formerly known as Pleasure Sound pushed their emotive progressive style on a variety of top underground imprints from 2008 to 2010. Now making their much anticipated return under a new moniker YouandI (Cy) present 'Lose Yourself' alongside remixes from AFXS, Nicolas Dales and Nadja. 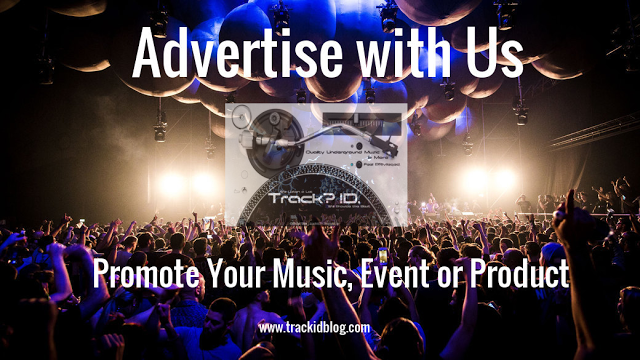 The Original Mix leads the release off with an electric drive as tough kicks, buzzing synths and waves of broken percussion come together for a powerful groove. As the lead theme opens up the track transitions into a break where tension reaches sizzling levels, as the acid-like lines build to an effervescent boil. With intensity at a premium a second rhythmic theme gets interwoven., playing off the first for a dramatic second break and massive finale. A monster track from YouandI (Cy) and just in time for the winter club season. The first interpretation is provided by AFXS who are making their first appearance on Dopamine Music. Antoni Bios and Viton Mavropoulos make up the AFXS duo and have been pushing their unique take techno with great releases on Recycle Limited, Set About and Mushroom Smile Records. Here they deliver one of their career best remixes with a funky, percussive take on 'Lose Yourself'. Great builds and chopped up parts of the lead bring huge moments as new found vocal elements add a unique flair. The one minute plus break proves to be a highlight with a dynamic build resulting in a huge payoff that's sure to bring many great dance floor moments in the months ahead. The second interpretation of 'Lose Yourself' is provided by Nicolas Dales who is also making his first appearance on the label. As an industry veteran the Belgian DJ has spent 25 plus years behind the decks and also owns releases on Karmak Records and Unrivalled Music. Here he brings his deep techno sensibility to 'Lost Yourself' with great results. Following a warm, groovy and wonderfully percussive beginning Nicolas works elements of the lead theme in for a pensive break. Not one to take things too big, a short and calculated build summons the funky groove back for one final rush and a stellar third act finale. Closing the release out and also making her label debut is Nadja. The Greek artist emerged as a DJ over the past couple of years and has quickly become a local favourite amongst clubs and party promoters at her current "there's no place like home", which is the island of Crete. Her unique style created such a buzz in the underground that the one and only Carl Cox handpicked her to play the 'Honda TT Revolution' closing party in June of this year. Now making her much anticipated production debut Nadja delivers an inspired take on 'Lose Yourself'. Her time behinds decks and keen sense of dance floor dynamics is prevalent here with a minimalistic yet incredibly groovy interpretation. The large lead elements have been radically reshaped into a hook heavy line while a near two minute break and stellar third act ultimately seals it's brilliance. A top notch rework from Nadja which rounds out a unique and exciting offering on Nikko.Z's Dopamine Music. Don't miss it.